I didn’t really know about this place until my grandmother passed away. She was a monthly donor and actively saw the children on a somewhat regular basis. She had wanted to take me personally to see the kids, but unfortunately passed away before she got the chance. Over reading break, my mother and I ventured to Puerto Vallarta, along with some other family friends. After our visit, I wrote this piece because children are our future and once we give them love, they will love us back and themselves deeper and harder than before. When the children were heading back to class after our tour, one little boy ran up and gave me the biggest hug I will ever receive. My eyes teared up. The innocent and delicate heart of a child outpours with love and deserves to be a recipient of affection, regardless of the circumstances some were born into. 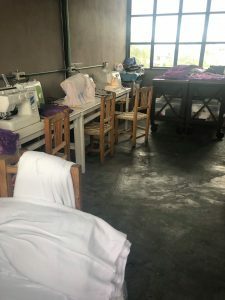 For the children at the Fundación Corazon de Niña, a home for many abandoned and abused children at Puerto Vallarta, Jalisco, Mexico, all they search for is love. This is exactly what husband and wife Melissa Canez and Juan Meza set out to do when they co-founded the non-profit organization. But it is also thanks to the help of multiple donors across North America that the children at Corazon de Niña are continuously cared for, ensuring them a brighter future. It’s about faith, love, commitment and attracting a lot of angels. The children of Corazon de Niña have been rescued from inadequate living conditions, which may include sexual abuse, neglect or abandonment. Other children arrived because their parents simply couldn’t afford to have a child. Even though housing more than one child can be hard, Canez and Meza do an excellent job of keeping on top of all their children. Today, they house a total of 81 children, all ranging from age one to 20. When Corazon de Niña was first established, however, it was only a house for girls. But the husband and wife duo found that boys also needed a place to go. Thus began their journey welcoming boys into their home. 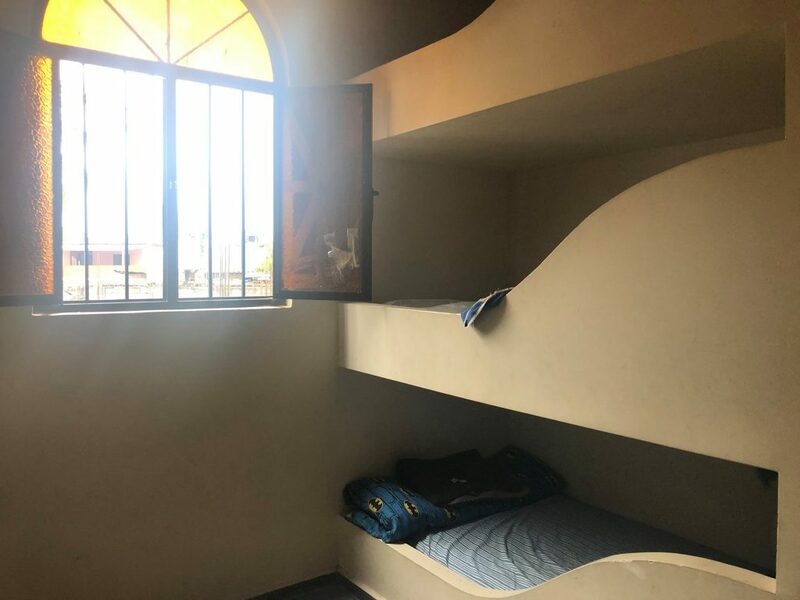 Boys and girls have separate sleeping quarters, each with bunk- beds that have individual reading lights, places for stuffed animals and a security ledge. The first floor of the main building includes the kitchen, dining room and classrooms. The classrooms are small but each class only contains a handful of children. Three computers are set up in a back room and a trampoline is set up outside. The core of the program at Corazon de Niña is based on the acronym L.I.F.E. It begins with love, the essential glue that bonds, fosters trust, heals wounds and grows joy. I for integrity, of belief, words and actions of our caregivers and children. F for family, which is the anchor, support and deepest connection to humanity. And finally, E for education, in which they equip children with self-confidence, hope and tools for a successful, happy future. “It’s about faith, love, commitment and attracting a lot of angels,” says Canez during an interview for the Vallarta Tribune. The second floor contains the sleeping quarters, toilets and shower stations. The third floor is where they have set up a couch and TV as well as the kitchen for the employees. The top floor is where they have their workshops. 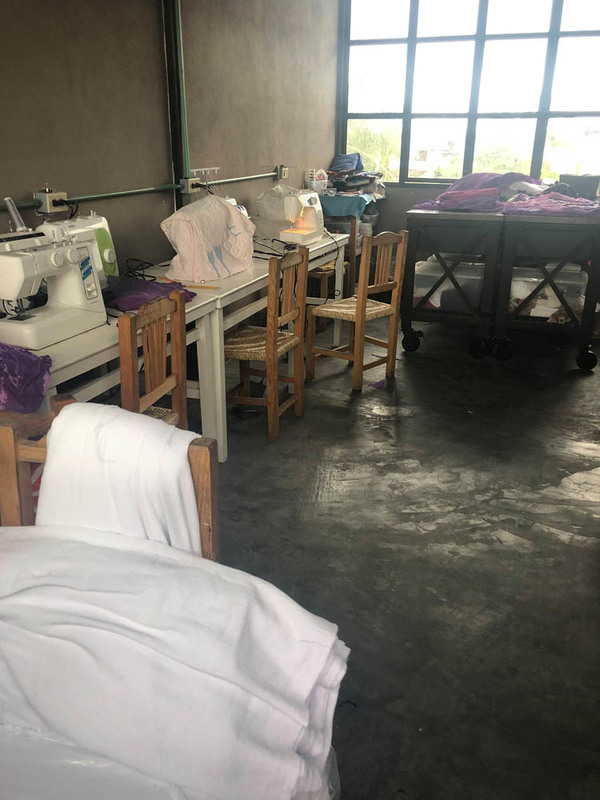 One room is their designated sewing room where eight sewing machines sit covered in plastic, waiting for the children to come and make something beautiful. Next door is the carpentry room, set up with two large saws and multitudes of wood. Across the floor is the art area, where a medium-sized kiln sits for pottery-making and boxes upon boxes of paint, for canvas and scarf staining. 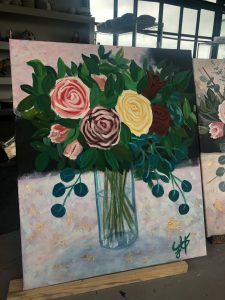 Corazon de Niña will bring in artists to teach the kids new techniques and show them how to paint one of their famous paintings. The children will copy the artist’s painting and will sell them, along with all the scarves, clothing, jewelry and pottery they make downstairs in their little gift shop. Tours of the facility are provided every Tuesday and Thursday morning at 9:30. It is a guided tour provided by either Canez or her husband, after the children bring out plates of breakfast — egg tortilla with plantains, orange juice and sweet coffee. Corazon de Niña is a not-for-profit organization, the only one of its kind in Puerto Vallarta. However, they rely heavily on outside donations and support. Lots of their support comes from their G.E.M. (Give Every Month) program. This program allows the people who come to visit a chance to donate every month. Just as little as $10 a month will help buy school supplies and building materials. Monetary donations are the best and fastest way to ensure these kids receive what they need. The organization also accepts material donations. A list of items is provided to each person walking through their doors. This list includes items like toothbrushes, food, batteries, candles, bed sheets and towels. For all monetary donations from Canada, visit their website at www.fundacioncorazon.mx. Currently, Corazon de Niña is in the process of building their transitional housing unit. This is where the older students and alumni can come and receive further education that will help them find a career. It’ll teach basic skills for labour jobs and more advanced skills for jobs in engineering or medicine. The transitional housing unit will help prepare students for life outside of school. The tour ends with a song and poem recited by the children. Before heading back to class, the kids walk around and get to know the people visiting them. The sweetest and most loving of gestures witnessed are the cute, shy hugs exchanged between the children and visitors.